Sometimes back a senior executive of a company belonging to a large and well known industrial group told me: “We believe in business responsibility and not in social responsibility”. When I asked him what exactly the term “business responsibility” means he said “it means contributing to the national economy by producing goods, paying taxes and providing employment. These are the only responsibilities of business”. There are still many business men and entrepreneurs and executives who believe in this narrow conception of their responsibility to the society of which they are part. In this conception, what you have to do for your survival is regarded as equivalent to fulfilling your responsibilities to the society. If a company doesn’t produce and sell goods and services it will not exist; if a business organization doesn’t earn profit, it becomes bankrupt; if an individual or company doesn’t pay taxes, he or she or it is a criminal who will be prosecuted and face the legal consequences; if a company doesn’t employ people, it cannot survive, even in our present times, where robots are replacing humans. So to equate paying taxes or giving employment or producing goods to social responsibility is tantamount to telling “I am fulfilling my social responsibility by not stealing or not committing murder” or “I am fulfilling my responsibility to the society by eating food, because I am helping the farmers who produce food!” We can even say “I am fulfilling my social responsibility by falling sick” because in our present age, a large part of a nation’s economy like hospitals, drug industry and doctors depend on curing sickness. The ideal of social responsibility goes beyond mere “business responsibility”. The highest and the most progressive idea in modern management thoughts look at business as an integral part or organ of the larger society and their interdependence. A healthy, efficient and productive business is needed for the prosperity of the society. Similarly a healthy society with minimum of poverty and illiteracy, where people are healthy, working, earning, spending, educated, skilled with good infra-structure like, power, transportation, communication, provides a favourable environment for the growth of business. So an enlightened business sense which looks at the long term, never hesitates to spend its resources, talent and energies in building such a healthy society and makes a conscious effort for the well-being and progress of the larger life of which it is a part. However there is also an element of truth in the concept of ‘business responsibility”. There are some very idealistic and “spiritual” folks who despise business and businessmen and say “Oh these people are interested only in making money and earning profit”. But creating wealth for the society is a fundamental dharma of business. And if a business organization doesn’t make money or earn profit it can’t survive as a company. So, a business organization must first learn to create wealth for itself, survive and prosper, which means to develop the skills and competencies to create wealth and build something useful for the society. Profit and money–making and ploughing back the money and profit to build its capabilities for creating wealth is part of this process. A company which is inefficient, lethargic and incompetent in creating wealth and as a result goes bankrupt is not only not fulfilling its fundamental dharma but creating misery for the society, because when a company which employs people collapses, so many men and women and their families which depend on them are thrown into the street without any support. So a business organization must learn to fulfill its “business responsibility” with an increasing efficiency and productivity, which means developing the capabilities to create wealth, before embarking on a large scale into its social responsibility. For, we can give only what we have. The company may take up a CSR project on a small scale or on experimental basis or to fulfill governmental rules, like for example the recent low of Indian government which makes it obligatory for companies to spend 2% of their net profit on CSR, which is a mild investment for any company. But it is not desirable for a company to embark on a big scale into CSR before it has acquired the capacity to create wealth for in self with a sustained momentum. When a business organization has attained a certain level of mastery in creating wealth for itself on a sustained basis, it can, and has to, turn this capacity more and more to the society, in bringing economic prosperity, well-being and progress to the larger community. 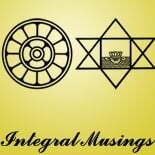 This entry was posted on January 25, 2017 by integralmusings in Society & Culture.